There was a lot of fog the day I went to the famous Neuschwanstein Castle, which made clear pictures pretty much impossible. It did make for amazing atmosphere, though. You are supposed to have a beautiful view of the castle from this bridge. Provided, of course, that there is no fog. Castle in the air: what I got instead. Not that I'm complaining. The scenery was often breathtaking. 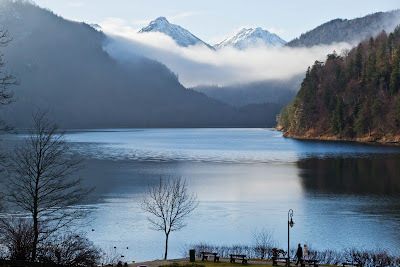 This is the Schwansee (Swan Lake) near Füssen. 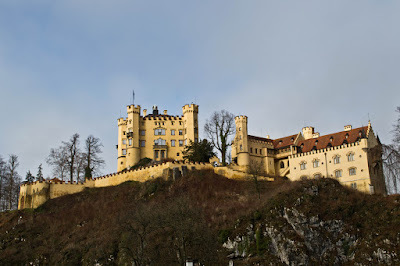 Hohenschwangau Castle, which is a bit further down the mountain and therefore had no fog. The best apple strudel I’ve ever had. One last shot of the scenery. 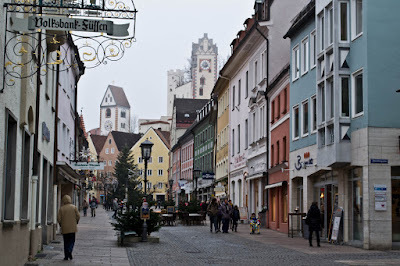 After two days in Füssen I went to Munich, where I got to see all the lovely Christmas markets. Watching the sunrise on the train to Munich. The Neues Rathaus (New City Hall) seen from the Peterskirche tower. Climbing all 306 steps almost killed me, but the view was worth it. 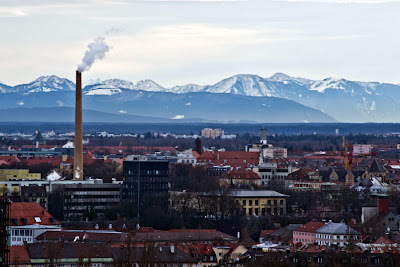 Munich with the Alps in the background. The famous Glockenspiel. I was lucky enough to have been able to be there in time to see the clockwork figures move. Entrance to the courtyard of the Neues Rathaus. Detail of the Neues Rathaus. Statue at the Viktualienmarkt, a large open air market where pretty much everything is sold. These smelled amazing. Christmas in a bag, pretty much. I could not resist one of these. 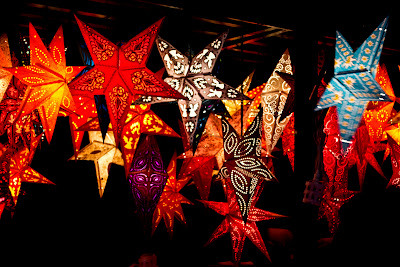 There were Christmas markets everywhere! Decorated ceiling in a bookshop in central Munich. Second floor of the Lentner bookshop in Munich, which, changes of premises aside, dates back to 1698. Black Forest cuckoo clocks in a shop window. Sadly I had to make my way to the airport just when it was starting to get dark, and so I missed the best of the Christmas lights. But the glimpses I got were very lovely indeed. 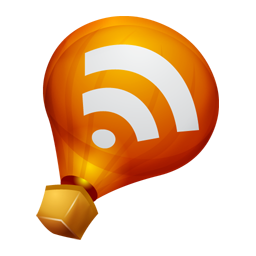 I’m afraid that after a few Internetless days, Google Reader will have to get the Mark All as Read treatment (you post a lot! And I mean that in the nicest way possible). But if there is anything you think I’d be particularly interested in, I’d be really thankful if you dropped me the link. What gorgeous photos! I actually think the foggy ones are wonderful - the fog adds an air of mystery. 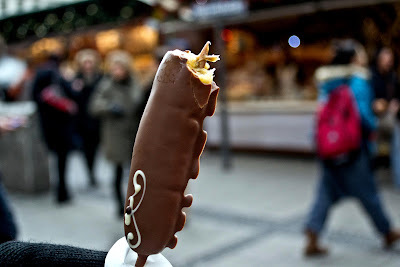 So pretty :) And is that a chcolate covered vegetarian sausage on your stick or what? Jodie: it's a banana! Mathie had some chocolate covered grapes, which were also delicious. They had all sorts of fruits! Beautiful - I am so envious. It reminds me of our wedding trip to the alps. I've been to all of King Ludwig's castles but Ken hasn't and I'd especially love to revisit Neuchwanstein. You were so lucky! *sighs* You're making me miss my trip to Neuschwanstein and Muenchen.....um almost 10 years ago now. (sheesh, how'd I get so old). Everything looks exactly the same now as it did then!!! I forget how beautiful Germany is, and how well-preserved historically some parts are (not all alas). I tend to think of it as a steely modern sort of place and in fact it is baroque and beautiful. The castle in the mist is so atmospheric and the markets are just gorgeous. 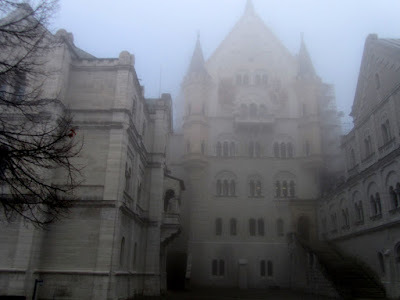 Your Neuschwanstein pictures look very similar to my own with all the fog! It's so beautiful no matter what. 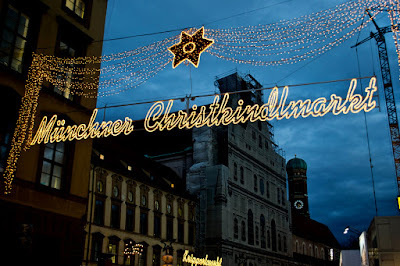 And Munich at Christmas! We were just there for Oktoberfest. I miss it. I would love to go there at Christmas...actually, we hope maybe to move there in the next few years. Hope you are having a great time! Just this past weekend when I was in Chicago, we went to a Christkindlemarkt. It was so so cool, but insanely crowded. Which was probably good since it was like 15 degrees outside. These pictures are truly amazing. I think those foggy castle pictures deserve to be a book cover. These pictures are just so magical and beautiful! I would have loved to have visited there, but you did a great job of providing photos so that I could live vicariously through you! What an amazing trip it must have been! Gorgeous photos! 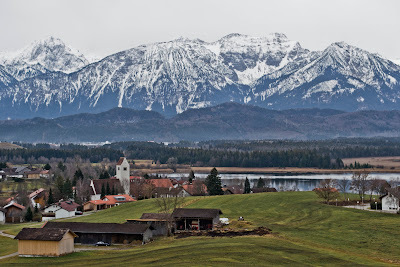 I love Bavaria but have never managed to visit in the winter. Maybe next Christmas! Wow those photos are gorgeous. Even with all the fog it is still beautiful. It looks like you had a fantastic time. Your photos are beautiful! I especially like the ones of the castle and the bridge in the fog. They look so mysterious. I've only been to Germany once, when I was a lot younger, so I'd love to go again. Mmmmm, German Christmas markets. We were hoping to go this year, but it was looking to be a bit more expensive than we'd hoped from where we were in Ireland. Ah well, next year! Those German towns are so full of atmosphere. And I absolutely love German Xmas markets, I don't think there is anything more Christmassy! Those photos are gorgeous. I especially love the foggy ones. 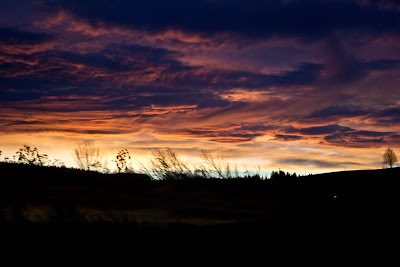 Thanks for sharing, the only way I get to travel lately is through other folks photos. Oh Ana! All of these pictures are simply gorgeous and I'm so glad you shared. I love the foggy ones--so atmospheric. I'm glad you had a lovely time. And streusel. Yup--ate a ton of that while I was in Germany. It looks wonderful. Now I wish I could visit sometime during advent. I don't want to say my own posts are interesting, but I did review The Knife of Never Letting Go yesterday. So glad you're back online again :) But also happy your days off seem to have been so good. Thanks for sharing your pics. I'd love to visit Germany someday, and you've just shown me some places that would be on my must-see list! Your pictures are just magical. I'm so glad you shared them. I wish I had been there when all of the Christmas decorations and markets were out. I bet that was just wonderful. p.s. I had my favorite apple strudel ever in Germany too! Oooh. Love the photo of the Castle in the Air! These pictures are just beautiful... even the ones with the fog! Looks like a wonderful trip. Oh Ana, the pictures are beautiful! I wish I could visit all of those places!! Thank you for posting these beautiful pictures! I wish I could see at least one of these places someday, and I always enjoy these your travel posts. Also, that apple strudel looks delicious. So beautiful! It looks like a fabulous trip. Lovely trip and photos, Ana! I went to Germany in 1993, and these photos reminded me of my own, and what Germany looked like then too. The colours of the houses, how clean everything is, and those amazing Christmas markets. I was in the southern end, so was lucky enough to see the Black Forest on one trip. 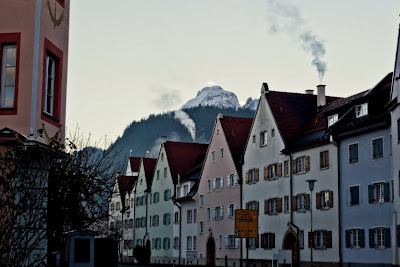 We went to Switzerland for New Year's, and I didn't get to see the Alps coming or going because of fog! I was so disappointed, I love mountains, and I wanted to compare them to the Rockies here. So I really liked seeing the Alps in your photos. I listened to a podcast recently about Leopold II, the king who built Neuschwenstein and it was fascinating! Apparently he really wasn't all that crazy, and there is a lot of speculation around his death. You have gorgeous atmospheric pictures, even if you can't always see the castle very clearly in them :) At least the picture of the strudel came out well! Fantastic photos! Looks like a wonderful little trip! Absolutely gorgeous pictures! The setting is so picturesque. Thanks so much for sharing these wonderful photos! Even if there wasn't any snow, that fog sure was atmospheric! Love it! Lovely! So jealous! I love christkindlmarkts. Well that is all quite breathtaking and makes me feel very jealous. It's been way too long since I went on a proper trip to a destination. How did you get on without knowing German? I am always petrified of going to other countries where I don't speak the language and trying to get by with a few phrases picked up in the preceding two weeks with language tapes or whatever, and everyone there thinking I am dumb. Wow everything just looks so magically, I really must go back to Germany, haven't been since a school trip over 10 years ago!! Verity: I hope you and Ken get to go together sometime soon! litlove: Yes, exactly. That was my mental image of Germany too, but there's another side to the country too. The contrast is very noticeable in Munich in particular. Lots of modern buildings in the areas that were destroyed, but plenty of gorgeous older ones that survived the war too. Priscilla: Yes, it's definitely beautiful in all weathers and seasons. 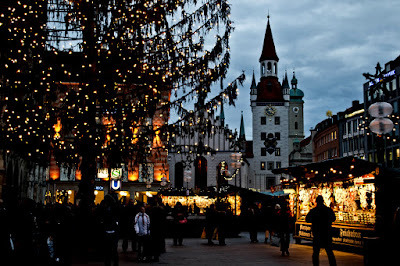 Munich at Christmastime was gorgeous and so atmospheric. I hope you have the chance to go some day! Zibilee: I'm happy to have given you a glimpse! Amy, I'm happy to hear it! Claire: I hope you get to go! Now that I've seen it in Winter I would love to visit in Spring. The Alps must be gorgeous then! Brenna: Thanks; I really did! Sarah: This was my first time visiting, but I certainly do want to go again. So much to see! Fancy Terrible: I hope you get to go next year! I was very lucky to have found that a stop on my way home would be less expensive than a direct flight! Joanna: Yes! I'd been to some before in England, and while they were lots of fun the "real deal" was definitely even better. Carol: I'm glad you enjoyed them, and I hope you have the chance to do some travelling of your own sometime soon! Anna: Judging from what I saw, Bavaria is definitely a must see! Melody: I hope one day you can! Susan: Ah, the fog... as lovely as it can look, it also gets in the way at times. I would absolutely love to see the Black Forest one day. Mayne next time! Switzerland also sounds very beautiful. I was REALLY close to the border with both Switzerland and Austria, but there just wasn't enough time. One day! Aarti: That does sound fascinating! I heard a little bit about the king on the guided our of Neuschwanstein, but sadly not that much because they rushed us through the whole castle in less than half an hour :\ But I'd love to read about the history of the region some day. Trisha: It's a beautiful area! Steph: I'm glad you enjoyed the photos! And yes, the fog was great for atmosphere. Stephanie: Thank you so much! heidenkind: They're lovely, aren't they? I wish we had them here. Jessica: It's a beautiful area. I want to go back myself! Fantastic photos! I've never been to a German Christmas market but I hope to make it some time. It looks like pure indulgence. Wow! What a fantastic trip you had! Thanks for sharing those gorgeous photos. They made me want to start saving for a trip. No time like the present, right? Beautiful, I'm so jealous. But I'm glad you had a good time even if there was fog. Everything looks so gorgeous in the photos! I love the one of the bridge and then of the bridge view of the mist-shrouded castle. 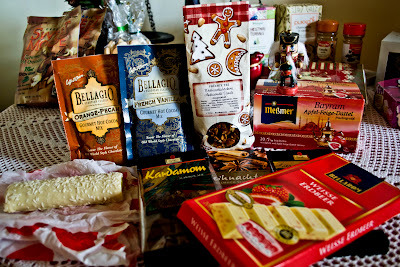 And the Christmas-in-a-bag scents sound wonderful. Gorgeous! Brings back memories of my own trips to Germany. I would love to go back again one day! Wow. Just wow. And more wow. 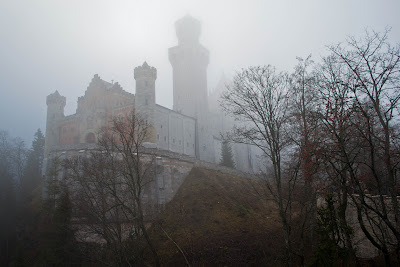 Neuschwanstein in the fog - how lovely! Looks like it was a magical little trip. We're going to the local Christmas Market this week, but it won't be nearly as wonderful as the real German thing. Marieke: They're wonderful! Definitely perfect to get you in the mood for the season. Stefanie: Right! It will probably be a while before I can travel again, but I'm so glad I had this chance. Christy: I wish I'd got one, but they were a little on the pricey side. I've been wondering if I could recreate them, though. Marg: I hope you manage to! Alita: I hope you have a wonderful time all the same, though!